Since 1929, the city of Holland, Michigan, just off the shores of Lake Michigan, has blossomed with literally hundreds of thousands of tulips, and plays host to the largest tulip festival in the United States. Welcome to the annual celebration and experience known as the Tulip Time Festival! Since 1929, the city of Holland, Michigan, just off the shores of Lake Michigan, has blossomed with literally hundreds of thousands of tulips, and plays host to the largest tulip festival in the United States. Tulip-lovers enjoy more than tulips . . . with activities for all ages, the Tulip Time Festival includes a Dutch Market, national entertainment acts and a concert series, spectacular parades, a craft fair, fireworks, klompen, (clog) dancing, and more. 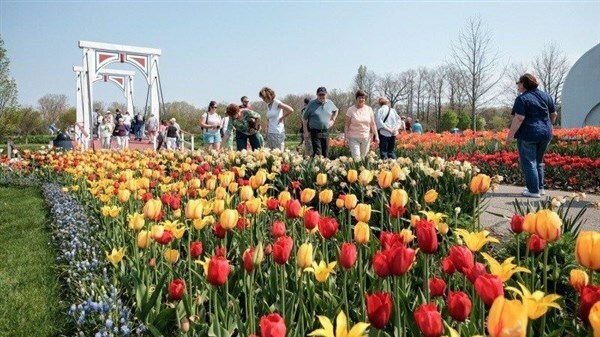 Tulip Time is truly an experience you dont want to miss with Gunther Tours! Welcome Aboard! 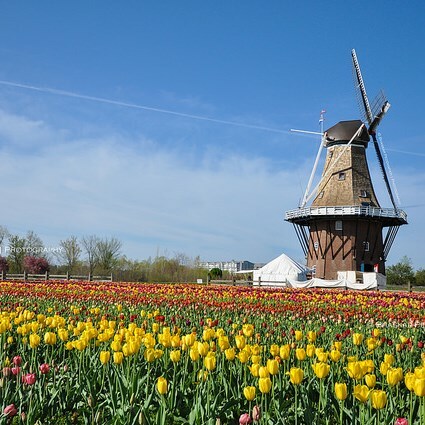 Travel in comfort aboard our deluxe motor coach to one of America's most colorful spring festivals, the Holland Tulip Festival in Holland, Michigan. Before checking into our hotel in Rossford, Ohio for the night, we are treated to a delicious dinner at a local restaurant. After a buffet breakfast, we depart for Holland, Michigan. 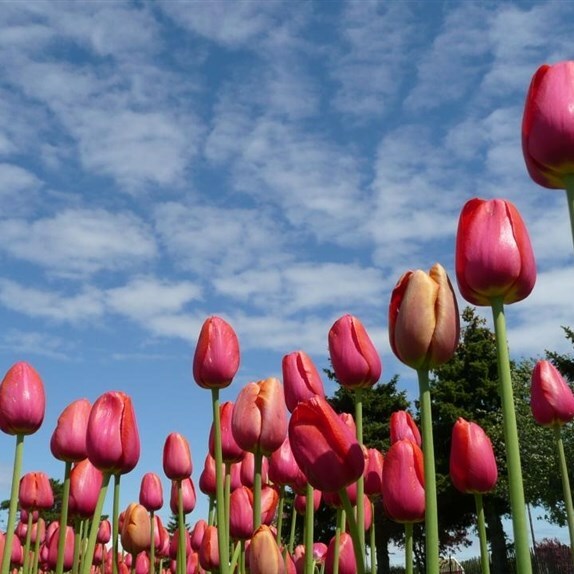 It is tulip time in Holland and the town is hosting the annual Tulip Time Festival that celebrates the blooming of the tulips, and the heritage of America's Dutch immigrants! 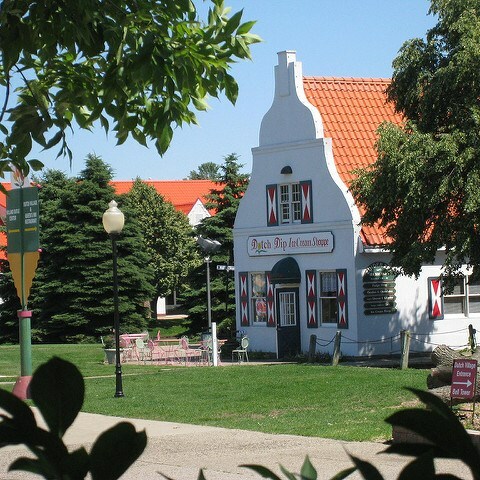 Upon our arrival, we will visit Dutch Village, an authentic recreation of a 19th century Dutch town and way of life. Following lunch on your own, we meet our step-on guide, and depart for a tour of Holland. The tour will take us through Holland's historic areas, city parks, Hope College, a view of the windmill, tulip lanes, downtown Holland and concludes at our destination, the Tulip Time Dinner Show. A festival favorite, the New Odyssey Dinner Show: Three Guys, Thirty Instruments, is three guys on 30 different instruments performing Classic Rock, Country, novelty and specialty arrangements. Later we depart for our deluxe hotel accommodations in Grandville, Michigan for the next two nights. After breakfast, we are off to continue our exploration of Holland, Michigan. We arrive at Veldheer Tulip Gardens to view over 2 million tulips in bloom. 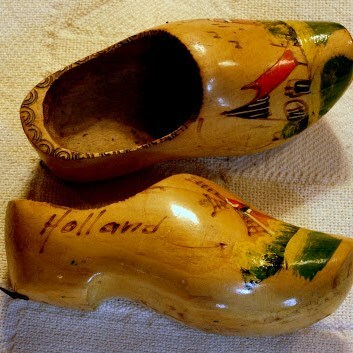 Next, we will visit the Blue Delft Factory and the Deklomp Wooden Shoe Factory. Following lunch on your own we take our reserved bleacher seats for the festival's most popular event, the annual Volksparade. Colorful floats, high-energy marching bands, and more will entertain you! After the parade, we tour Windmill Island Gardens. See the unique Dutch windmill, "Dezwann", America's only 249-year-old working Dutch windmill surrounded by a spectacular display of tulips! Tonight, we will conclude our time in Holland with a delicious dinner at a local restaurant and an evening of live musical theatre. After the show, we return to our hotel for a restful night's sleep. After breakfast, we depart for Grand Rapids, Michigan. Upon our arrival, we will visit Fredrik Meijer Gardens and Sculpture Park. Your visit will include a 45-minute narrated tram tour. Discover the beauty and splendor of a Victorian garden that features plants from around the world, gardens and scenic waterfalls, outdoor nature trails, Michigan's largest tropical conservatory and an internationally acclaimed sculpture park with over 100 sculptures by world-renowned artists. Next, we depart for Robinettes Apple Haus and Winery, a West Michigan treasure for over 100 years. Enjoy a box lunch and a tasting of selected wines. Also, prior to our departure, you will have time for browsing in the gift shop for souvenirs, fine collectibles and distinctive gifts! Tonight, we will spend the night in Rossford, Ohio. A dinner stop will be made en route to Rossford. Dinner is on your own. After breakfast, we depart for home with a vivid appreciation for Dutch heritage, and fond memories of the beauty of spring and visions filled with millions of tulips and other spring flowers in bloom!